NECS, Inc. company President, Chris Anatra talks about their Partners and the value this brings to our food distribution customers. NECS has formed partnerships and strategic alliances with other technology based software companies who offer complimentary products and services for our entrée line of food distribution software. “Partners” also include food distribution buying groups, associations and others. Our “partners” are leaders in their market segment and offer unique products and services which our large customer base of food distributors across the United States can benefit from. At AB Consulting Solutions we create custom software solutions that enhance and complement the award-winning NECS entrée. Our software philosophy is value-based. We listen to understand the job you need to get done, paint points you might have, and what would delight your customers. Then, we design and implement custom software that delivers the services you need, the pain relievers you are seeking, and the best customer experience. Since 1995 we have created custom software for finance, accounting, logistics, pricing, inventory management, and foodservice distribution. We are ready to work with you to optimize the value of your NECS entrée experience! Bellissimo Foods is a group of specialty food distributors serving North America, including Puerto Rico, Alaska, and Mexico. Bellissimo was founded in 1995 when nine Italian foodservice distributors partnered together to service the growing needs of their customers. Today, Bellissimo Foods has 40+ distribution centers and services more than 26,000 independent restaurants weekly, about 40% of the independent pizza and Italian restaurants in the country. Bellissimo Distributors generate $1.6 billion total revenue and are the largest specialty distributors of pizza, Italian and Mediterranean products in the USA. Dot Foods is the nation's largest food redistributor. They purchase full truckloads from 600 manufacturers and consolidates their products in eight distribution centers across the country. Then they resell these products in less-than-truckload (LTL) quantities to distributors on a weekly basis. There is normally no extra cost to the distributor when buying from Dot, and manufacturers compensate us to handle distribution of their costly LTL orders. It's a win-win for everybody along the food supply chain. Golbon was formed in 1963 to provide food service distributors premium frozen fruits, vegetables, and potatoes through forward warehousing programs. Golbon has since emerged as a full service, broadline purchasing and marketing group for independent food service distributors. Grande produces only the finest cheeses. Each day they harvest, thoroughly test and ship Grade A milk from dedicated farms that meet their stringent quality standards. A majority of these dairies have received 5-Star Certification from the Milk & Dairy Beef Quality Assurance Program™, signifying that they have exceeded the government’s highest rating, while ensuring the highest level of animal health and welfare. Legacy Foodservice Alliance is a distributor marketing and purchasing group offering a new vision of customer service to the foodservice industry. The founders are people who are Legacy names in the business, and innovators who have taken a long view of the business cycle, the industry, and its needs. Drawing on decades of cumulative experience and the positive influences of the past, Legacy has built The Distributor Group of the Future. Established in 2009, Legacy began as a regional group of 7 Distributor locations and 31 Supplier Members. In six years, Legacy has grown to a national organization that combines the purchasing power of more than 160 independent Distributor Members and over 500 Supplier Members, bringing best practices, and best products -- at the best prices. Pocket Link specializes in mobile Sales and Delivery software solutions (POD, DSD and SFA). Simply put, if a company needs a solution to take orders, print invoices, sell off the truck or capture Proof-Of-Delivery, ASKI has a solution. 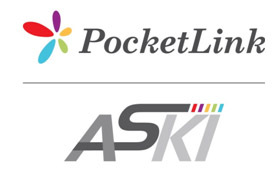 Pocket Link serves over 400 companies using ASKI with over 8,000 worldwide users. Produce Alliance specializes in providing fresh produce procurement and distribution services to food service clients across North America, the Caribbean and beyond. They manage an alliance of 44 independently-owned specialty distributors of fresh products, with combined produce sales of over $3 billion annually. Distributors are carefully selected using the most rigorous qualification criteria. Each commits to full compliance with our audited distribution, purchasing, and category management programs designed for client success. Select Marketing, LLC is a foodservice distributor buying group. Founded in August 1998 by midsize distributors that wanted a buying group that truly works for the benefit of its members. They currently have 125 members and over 350 suppliers encompassing all the products needed for broad line sales. They add new members and suppliers on a regular basis. TMW is the leading Transportation Management Software (TMS) provider for For-Hire, Private Fleet, Brokerage and 3PL companies. 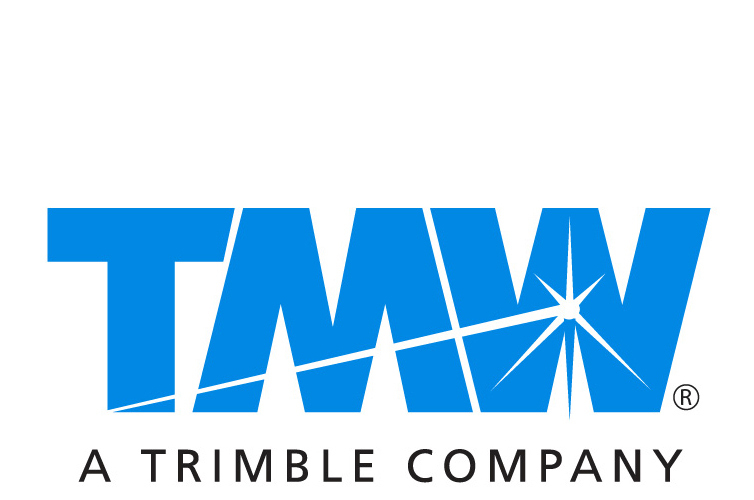 Since its founding nearly 30 years ago, TMW has focused exclusively on providing mission-critical enterprise software to the transportation industry. Today, the company is the established market leader with over 2,300 customers, including many of the largest, most sophisticated and complex trucking companies in North America. Trackmax is the leader in "Profit Optimization" software solutions. They help food distributors optimize the income they rightfully earn. Their Earned Income Profit Optimizer (EIPO) is the most widely used foodservice distributor contract and rebate management system available today. On average, users report up to 20% increase in vendor purchase and sales rebate income on existing sales and an ROI within six months. Founded in 1987, Schoneman, Inc. is the maker of the popular VistaTrac traceability system. VistaTrac is known for easy to use plant floor solutions that utilize iPads, GTIN barcode labeling and scanning. VistaTrac fills a unique need in the industry for customizable plant-floor technology that integrates with their customer’s existing ERP systems, including NECS entree. VistaTrac offers solutions for shipping, receiving, batching/yield, catch weight labeling and real-time inventory. VistaTrac has custom solutions for a variety of food manufacturing industries including meat, seafood, poultry, dairy and produce.